Diver bulao provides you the flexibility of booking from anywhere at any time. we have a tranparent tariff structure,you dont have to pay any hidden charges. You only pay for the services you opt for. Drivers employed by us are highly experienced and go through a complete background verification test. 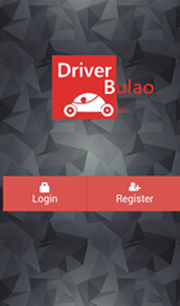 Driver bulao mobile application provides you a mechanism to track the current location of driver assigned to you. Your satisfaction is our first priority. Hence, we assure you the best driver service. We have used services many times from driver bulao.com , They are really helpful & charges are also reasonable as compare to others in market . I am regular customer of driver bulao.com. Have hired drivers from DriverBulao since last 4-5 years at least. Barring one occasion, when a driver got 10 mins late, I have always seen drivers reporting on time and behaving nicely. Once I booked the driver for an interview, but forgot to cancel the booking when interview got postponed. The driver showed up and just took the min. payment and left without any fuss. Even my father-inlaw uses this service occasionally now for long distance driving. If you call in advance, you can request for a particular driver too who is familiar with your current/destination location. You can even enroll for driver services through our driver bulao mobile application , which provides you the feature of tracking driver's current location.